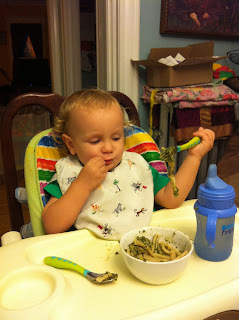 This week in our farm share we got over a pound of basil. A pound of basil goes a long way, so I knew I had to do something with it quickly so it didn't go to waste. 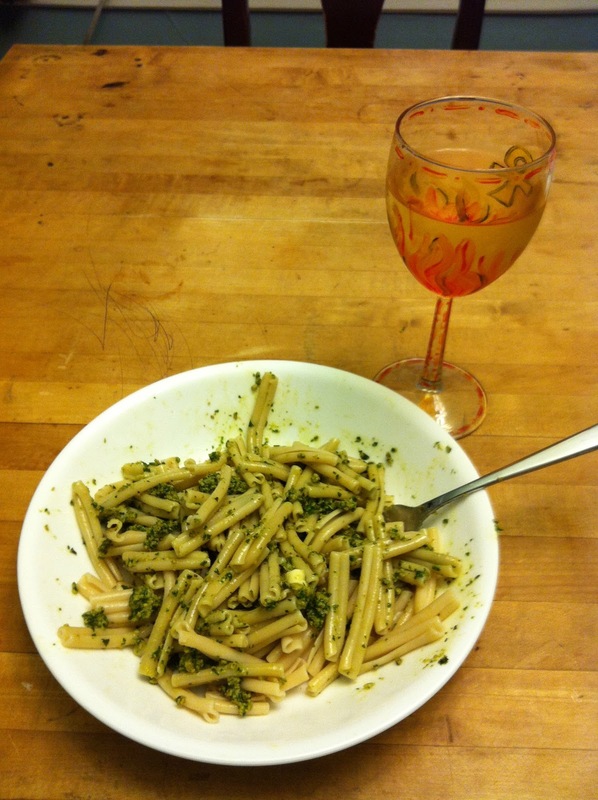 The obvious choice was pesto. I love pesto, it tastes like summer. I don't really have a pesto recipe. I always kind of wing it, but it always comes out tasty. Ingredients: Amounts are appoximate, I do this by sight/ taste- play with it until it looks and tastes right to you! 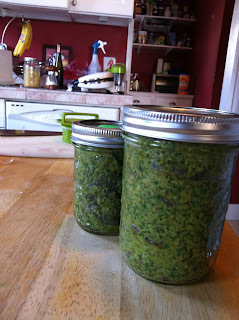 A good quality Extra virgin olive oil- I drizzle this in last until the pesto has a nice texture, about a quarter cup. Throw everything into your food processor but only about half the olive oil you think you will use, pulse a few moments and give it a taste. The nutritional yeast, acid, and salt are key here because they replace the tangy, salty Parmesan. Here is where I play with the ingredient proportions until it tastes right. I always end up adding more salt than I think I need. 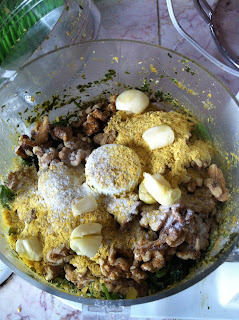 Then start blending, adding olive oil until you achieve a smooth, creamy consistency. NomNomNom. The munchkin was eating it with a spoon as I got it into jars. We had it with brown rice pasta. Crafty Essentials- Ball Winder and Swift.